We stayed over in Shoreditch on Sunday night so on Monday morning we grabbed some breakfast. 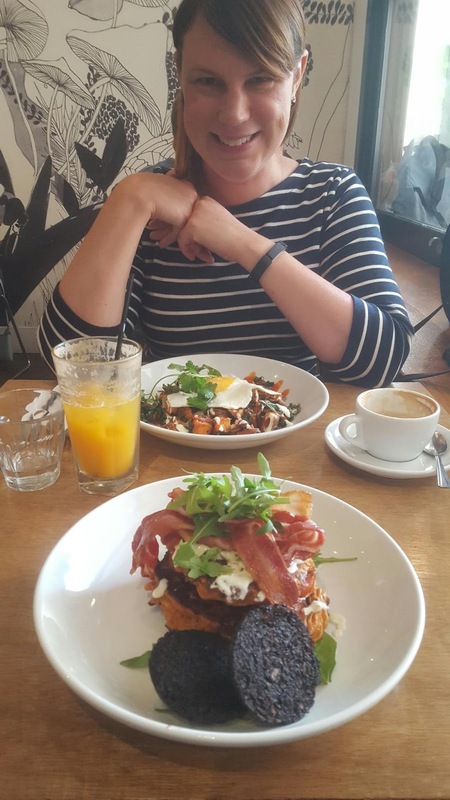 April had some form of duck hash, I had corn fritters with a side of black pudding. Yum. Still full now.